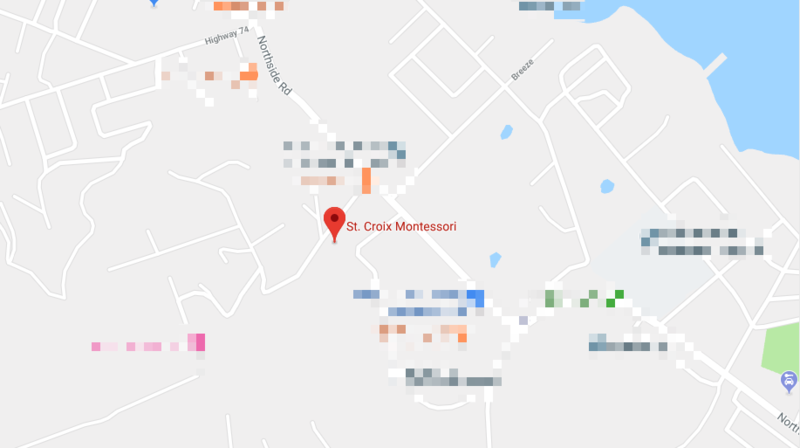 If you want your child in a warm, creative environment where they are treated as an individual, with highly skilled teachers who focus on the whole child, you should get to know St. Croix Montessori. When we were researching schools for our then 3-year-old daughter, I attended an open house for St. Croix Montessori. I didn’t really know a lot about the Montessori philosophy at the time. At the open house two things stood out to me: how beautiful the classroom was and an interaction my daughter had with a 6-year-old student. The student began showing my daughter how to use one of the materials in the classroom and she was quickly engaged. The proof is in our children. My nieces are out there in the world achieving and happy because of their Montessori education in Primary years. My daughter continuously tells me she is learning. This environment challenges in a healthy way. Trust in St. Croix Montessori. There is no other school like this on the island. This is a mindful environment. This approach to teaching gives my child – any child… a space to learn, to take ownership of themselves, to learn skills that come home, to be creative and excited. The elementary program offers a continuum built on the Primary level experience. It is made up of connective narratives that provide an inspiring overview as the organizing, integrating “Great Lessons.” Great Lessons span the history of the universe from the big bang theory of the origin of the solar system, earth, and life forms to the emergence of human cultures and the rise of civilization. Aided by impressionistic charts and timelines, the child’s study of detail in reference to the Great Lessons leads to awe and respect for the totality of knowledge. Studies are integrated not only in terms of subject matter but in terms of moral learning as well, resulting in appreciation and respect for life, moral empathy, and a fundamental belief in progress, the contribution of the individual, the universality of the human condition, and the meaning of true justice.